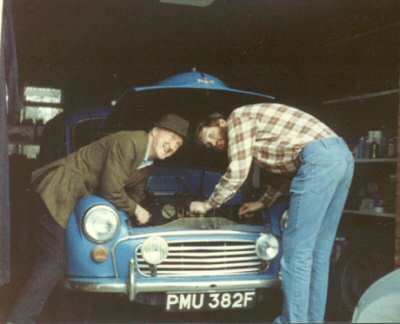 Here is Andy's Morris getting some maintenance. 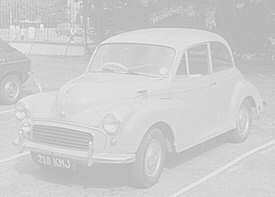 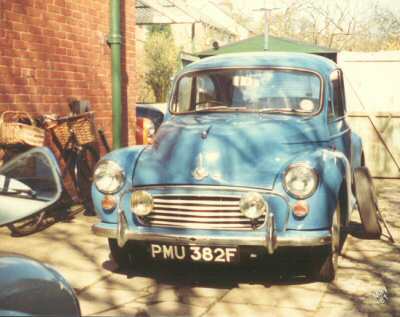 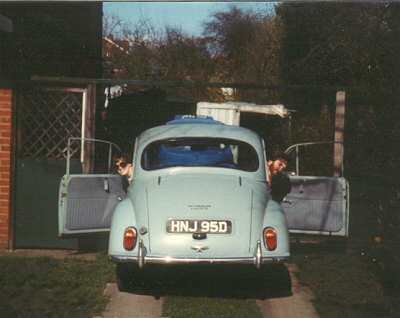 As I recall I drove around in this Morris during my 1981 vacation in the UK. 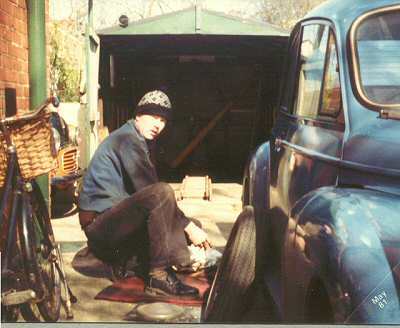 Working on Andy's car in the garage at 56 Grove Road.